JB Hi-Fi has it all - best brands, huge range, cheapest prices, convenient locations, but most importantly genuine personal service from experienced specialist staff. This gift card can be used online or at any JB Hi-Fi store in New Zealand. Valid in-store or online. For online purchases enter the card number and PIN number displayed. A maximum of 2 gift cards per order applies to online purchases. JB Hi-Fi eGift Cards do not expire. 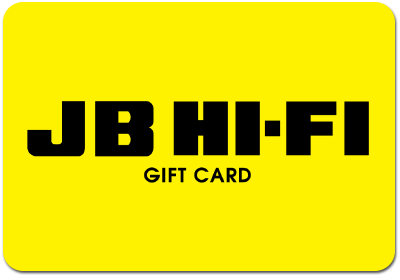 For full Terms & Conditions go to www.jbhifi.co.nz Gift Card Services powered by Vii.